Colorado DUI – DWAI Refusals – The refusal in a Colorado DUI – DWAI case is the decision not to take the breath – or – blood test after an arrest has been made based on alleged probable cause to believe you have committed the crime of DUI – DWAI in Colorado. 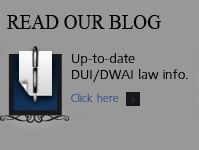 This article examines the criteria that should be used in making the decision – most often a decision not made under the best of circumstances …during the investigation – arrest phase of a DUI- DWAI case under Colorado’s drinking and driving laws. Here it is – you are stopped after leaving a bar, a friend’s house, or a restaurant. The stop is based on a an alleged traffic offense or infraction under Colorado’s traffic laws. â€¢ Something is defective on your car – or tags expired – anything! You are pulled over. That feeling of dread falls over you and you wait. You are told why you were stopped – and asked if you had anything to drink. You do NOT have to answer the question. You do not have to talk at all. BUT when the officer asks for your drivers license, proof of insurance and registration – you provide them…silently. You do NOT take ANY of the roadside tests – the HGN (or eye test) – the PBT or portable breath test or ANY other so called tests offered to you at the scene. These are voluntary .. not legally required. Again – say nothing – do not answer any of the officer’s questions or requests. Stand firm at this point. Stand on your right to remain silent except to silently identify yourself. If you had a something to drink – say a couple of drinks – you do NOT have to admit to that. Evidence of whether you are legally “under the influence” or “impaired” should not come out of our mouth. The police have to prove it – you do not want to give them the evidence they need – slurred slow speech for example – they can later use at your trial. The constitution says you do not have to incriminate yourself… but saying nothing is unnatural and difficult. Do not panic – you must weigh what you can do in the moment to help your situation. Here’s The Question – Do I blow or not blow? This is a little device used by the police to measure blood alcohol levels on your breath – you can buy them at Brookstone. The results are not admissible at trial but they CAN be used to develop probable cause – or PC at the scene to arrest you and compel the blood or breath test. Again – do NOT blow into this little device – it is voluntary – like the field roadsides sobriety tests. The key is to be able to recognize a PBT. A PBT is a HANDHELD Breathalyzer that is performed right there at the scene of the stop. It is easy to get confused between this little device and the real BIG Breathalyzer. The latter is usually at the police station or detox location. The Decision to Refuse Or To Take The BIG Breathalyzer or Blood Test.. So now the officer arrests you – in his or her opinion – there is sufficient evidence to arrest you. You are under arrest – – you have been advised of the Colorado Express Consent Laws – the privilege of driving in Colorado means you must submit to a chemical test when requested by law enforcement if the officer has probable cause to believe you are impaired or under the influence and have driven in that state. IF YOU ARE ARRESTED you must make the decision to take a blood or breath test. 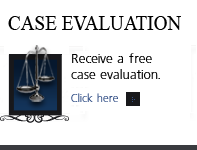 If you refuse to take either test – not only do most DA â€˜s take this into consideration when a plea bargain offer is made – but the judge may also “ding” you for the refusal in additional fines and costs. But by far – the worst impact – is that a “refusal” means no driving whatsoever – no probationary driver’s license – no interlock device on your car – no driving period – for a full year with a first time DUI . 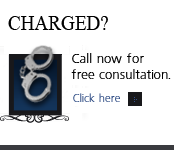 EVEN IF YOU ARE ACQUITTED ( FOUND NOT GUILTY) OF THE DUI – this Civil – administrative punishment still occurs! It is not an option to refuse the BIG test by “taking the fifth” – you cannot asset a refusal to take the test or decision not to take the test based on your Fifth Amendment right against self-incrimination. Here is the dilemma.. If you refuse the BIG test (Breath or Blood) on a first offense DUI,- as noted – it will result – most likely – in a one year NO DRIVING scenario. While this is devastating to most people, the question remains – does that mean you will win at trial. (4) No court shall accept a plea of guilty to a non-alcohol-related or non-drug-related traffic offense or guilty to the offense of UDD from a person charged with DUI, DUI per se, or habitual user; except that the court may accept a plea of guilty to a non-alcohol-related or non-drug related traffic offense or to UDD upon a good faith representation by the prosecuting attorney that the attorney could not establish a prima facie case if the defendant were brought to trial on the original alcohol-related or drug-related offense. This is the “rub” – that is – the factors you need to know in advance of making the decision that is the subject of this article. Before science and the law gave us “the test” – there were the police officer’s trained observations of your behavior and actions under the influence. While you may remember to say nothing – and do nothing except comply with the minimal requirements of Colorado law – provide your identification and proof of insurance. There is always “more”… silent evidence. Evidence of intoxication is usually much more than the “test.” If you speak at all – it is slurred -slow speech, or red, blood shot, and or watery eyes, slowed movements, balance issues, fumbling for documents – the list is endless. The officer will testify at trial – that – based on his experience – you were at least “impaired” by alcohol. Add those observations to so called “bad driving” and juries will probably convict you of – at least the lower DWAI – of the two Colorado drinking and driving standards. Finally contrary (in my opinion – and others) to the Colorado and United States Constitutional protections – the DA is allowed – at trial – to argue to the judge and or jury that YOUR REFUSAL TO TAKE THE TEST shows a CONSCIOUSNESS OF GUILT. Here is the language of the statute… That Permits This To Happen. This has been upheld by the courts of appeal in Colorado and in the United States Supreme Court. In other words, the prosecutor can argue you knew your were guilty. So, in the end you may get convicted and lose your license for a year. On a first DUI – it always makes sense to take the test. The reason is obvious – the punishment of losing your drivers license for a full year is much worse than the punishments allotted in the criminal case. You can’t use this as an excuse. If you refuse the test, you will face the consequences above and the state can use your refusal as evidence against you in court. This is explained in Colorado Revised Statute 42-4-1301. In most situations, if you refuse to take a mandatory blood, breath, or urine test, you cannot be forced to do so. However, if the incident that caused you to be arrested also caused injury or death to yourself or another person, the law says that an officer can physically restrain you, if necessary, to take the test. Also, the state may administer the test if you are unconscious or dead, even if you haven’t yet been arrested. You can read this law in Colorado Revised Statute 42-4-1301.1. If you have questions about Colorado DUI – DWAI Refusals in the Denver metropolitan area and throughout Colorado, attorney H. Michael Steinberg will be pleased to answer those questions and to provides quality legal representation to those charged in Colorado adult and juvenile criminal matters. In the Denver metropolitan area and throughout Colorado, attorney H. Michael Steinberg provides quality legal representation to those charged in Colorado adult and juvenile criminal matters…as regards Colorado DUI – DWAI Refusals.